The FCT Police command has arrested a suspect who specialised in producing and circulating fake N1, 000 notes to unsuspecting members of the public. Police ASP Anjuguri Manzah said that the suspect was arrested by police operatives around Royal Park in Wuse two, Abuja, where he had gone to buy mobile phone recharge card. 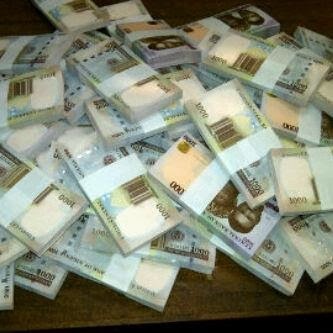 make una leave am jari, na him be boko way una supose to cash way dey finish pple 4 naija?